In this episode of “Surviving to Thriving: Overcoming My Darkest Moment,” I talk with Transformational Health and Wellbeing Coach Sarah Phipp. As a child, psychological and emotional problems led to ill health and a strong desire to control everything. It wasn’t until her early years of motherhood that repressed memories of sexual abuse surfaced. Listen in as Sarah takes us through these moments, and what she learned about healing coming from a different level of consciousness. 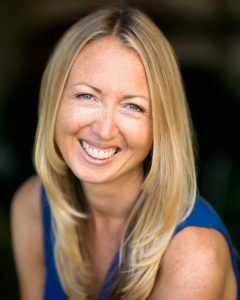 Now in the best health of her life, Sarah runs a busy practice sharing her years of knowledge gained from extensive training in health and nutrition, and the psychology of health and wellbeing. Her particular interest has always been focused on the mind: body connection, recognizing the importance of how we create our experience from our state of mind and how this affects the body’s physiology. This groundbreaking approach teaches a new paradigm in psychology that helps clients de-clutter and quieten their minds to tap into their own powerful intuition. Learn more about Sarah at www.sarahphipp.com.